I happened to drop in right at the beginning of the final, conclusive take of the new song 'More Than One of You', an epic, Beatleseque number featuring a choir of stars: Sandy Mill, Hollie Fullbrook, Lawrence Arabia, Samuel Flynn Scott, Victoria Kelly and more. And it was beautiful. To see the whole song, you can jump to that point in the original video here. Note that 'As Sure As I Am' features Nick Seymour on bass – and Nick's in Ireland. The pair of them work to play a beat apart to allow for the Skype delay, and almost get there. It's not all action – quite a lot of recording albums involves muddling around setting up to do a thing, and Neil is quite enthused with taking Skype calls from fans around the world – but with a glass of wine in hand, it's an unusual and lovely way to spend a Friday evening. Tonight's stream – featuring a guest appearance from Tim Finn – starts at 7pm and you can watch it here at Neil's YouTube page or here on his Facebook page. If you can, the YouTube is a better bet – it's in stereo, while the Facebook stream is mono. The stream is directed by the amazing Hugh Sundae, who will also be doing the job at Orcon IRL at the Golden Dawn on Sunday. My friends at Southbound Record Shop currently have a big range of releases from the remarkable ambient-chamber music label Erased Tapes in stock – and a nice little treat for anyone who can make it in to the store and knows to ask. There's a free CD sampler in store, featuring Penguin Cafe, Rival Consoles and others from the label. Nice. Moving to Nelson, DJ-journalist Grant Smithies has opened a record shop in a beer garden. Because of course he has. 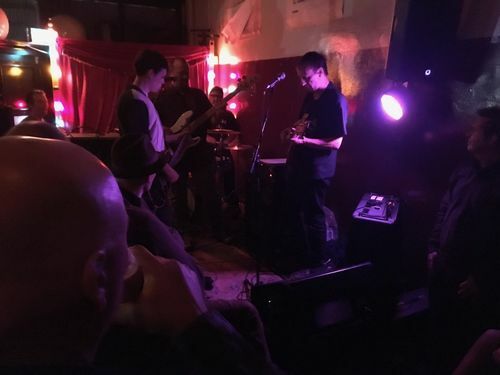 I really enjoyed Bill Direen and the Builders' show at Golden Dawn last Friday night – this time, there were lots of odds and ends early on (including a version of W.H. Auden's 'Death of a Fascist') and then, with a band, a set that included a funky swag of songs from CONCH3. This weekend, it's Wellington's turn. Bill plays the Pyramid Club on Sunday and there are screenings of Simon Ogston's Bill Direen: A Memory of Others on Saturday and Sunday. See also: Graeme Hill and that Smithies guy sfting through Bill's back catalogue on Radio Live and Campbell Walker's deep, thoughtful examination of the film and the artist for The Pantograph Punch. 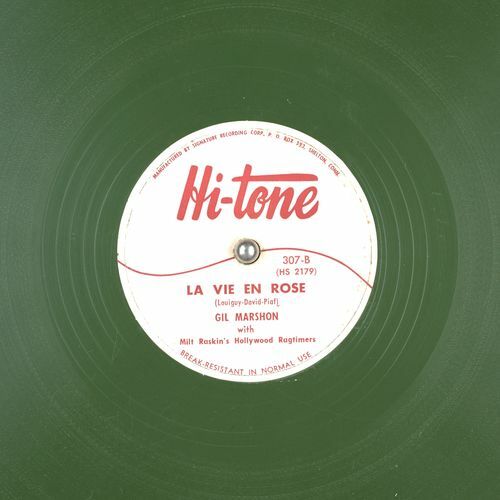 A different kind of musical history: the first LP I ever owned for myself wasn't what I thought it was. I thought I'd bought an album with songs by The Sweet on one side and their glam buddies Slade on the other. But what I hadn't understood was that it wasn't the original artists, but one of the Sounds Like series of cover albums record by top Dutch session musicians. I still played it heaps. Cover albums were a surprisingly big thing in the early 70s, but I can't find mention of the Sounds Like series released in New Zealand. I'm not even sure I have the name of the series right. Can anybody help? The same crew have also pitched in on the Redbull remix competition for Ladi6's 'Royal Blue'. Nice. FACT highlighted this lovely bit of Afro-synth goodness by Esa, an artist I know nothing about but will be investigating. I've got some of those soundalike LPs - argh but, can't remember how they're titled. I have might have time for a rummage this arvo. 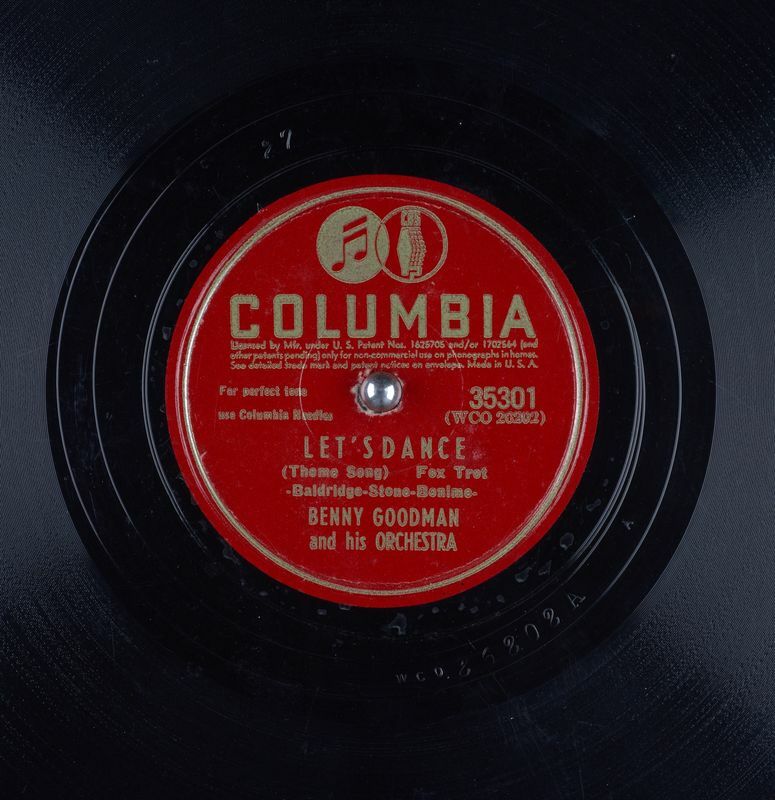 Who knew Benny Goodman and his Orchestra (the Jets?) did a David Bowie Cover? Surprised they didn't change their name to 'En Vogel' just for this kiwi classic. Quite possibly! My one had a different cover, though. Another one in the series was David Bowie/Elton John. I see they're using wine to keep the creative juices flowing, rather than other, more traditional, forms of music-making ingredients. apparently all the Top of The Pops releases are on Spotify. The Top Of The Pops albums were issued on Hallmark, a Pickwick label, and ran from 1968 to 1982, with a brief revival in 1985. There tended to be around 6 issues a year. Other labels got in on the act too, most notably Pye via their Marble Arch imprint, and MFP. Many smaller labels also tried, most notably in the early 1970s. Woolworths had prior experience in the field, putting out covers singles on their Embassy label for years, using the Oriole label to record and press titles for them. Embassy folded in 1965 when Oriole were bought out by Columbia and became the UK CBS Records operation. Woolworths then got back into covers int the late 1970s, setting up their really cheap Chevron cassette imprint. As well as releasing albums of mixed covers, they put out single artist tribute albums, orchestral material (such as TV themes) and various other tat. Every Woolworths store would feature a large bin of these cassettes, retailing for 99p or £1.25, but you never saw anyone buy them. They finally died out sometime around 1990. The legendary dubstep band (Salmonella Dub) was approached to be given a Legacy Award at the New Zealand Music Awards in November and were told they could select a band or performer who had influenced them to perform at the awards ceremony. But organisers deemed their selection, Wellington post-punk band Beat Rhythm Fashion, too obscure for TV audiences and rejected it. In response, the band then turned down entry to the NZ Hall of Fame. NIce idea and tribute to consider BRF, but I thought Dan Birch died in 2011, which leaves only two thirds of a trio… and what with Nino moving to Australia (he might be back, not sure) and being between drummers, it would’ve been hard to manage a reformation. The Clean did accept The Taite Music Prize’s ‘’Independent Music NZ Classic Record’’ award this year – which acknowledges records that continue to ‘’inspire us and define who we are’’ – and deservedly so! On reflection the Four Stars record from Sausage Records in Wellington (1980/81) – Featuring Beat Rhythm Fashion, Naked Spots Dance, The Wallsockets and Life in the Fridge Exists should be considered for the Taite Independent Music NZ Classic Record award – despite its minuscule pressing run it, like AK79, captured a moment in time that still resonates. I'm not sure if the post is public, but Peter McLennan mentioned it on August 2, and the general feeling was that the claim didn't add up. Also, apparently Nino is working on new material with Caroline Easther on drums. Sadly - The link you followed may have expired, or the page may only be visible to an audience you're not in. Good to hear that Nino and Caroline are working on new material though. 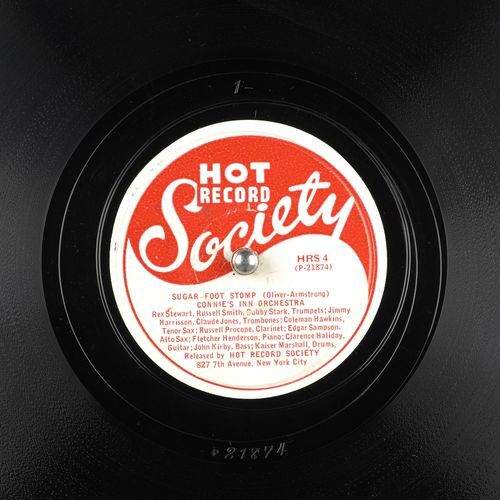 I wouldn’t mind a Hi-tone or Hot record society t-shirt, such cool logos! As Grant Smithies implies on that Peter M post, it’s verging on twaddle. (You can probably remove Verging from that sentence). Yeah. Guess I should follow it up. What I want to know is when Sonia Pottinger's estate gets sorted out and the beautiful, beautiful rocksteady she produced is given a proper setting. As far as I know, all of it's currently unavailable, even on the streaming services. I love Duke Reid's productions, but I love Mrs Pottinger's more. What I want to know is when Sonia Pottinger’s estate gets sorted out and the beautiful, beautiful rocksteady she produced is given a proper setting. As far as I know, all of it’s currently unavailable, even on the streaming services. I love Duke Reid’s productions, but I love Mrs Pottinger’s more. Things are a bit murky, but greater availability would be great. 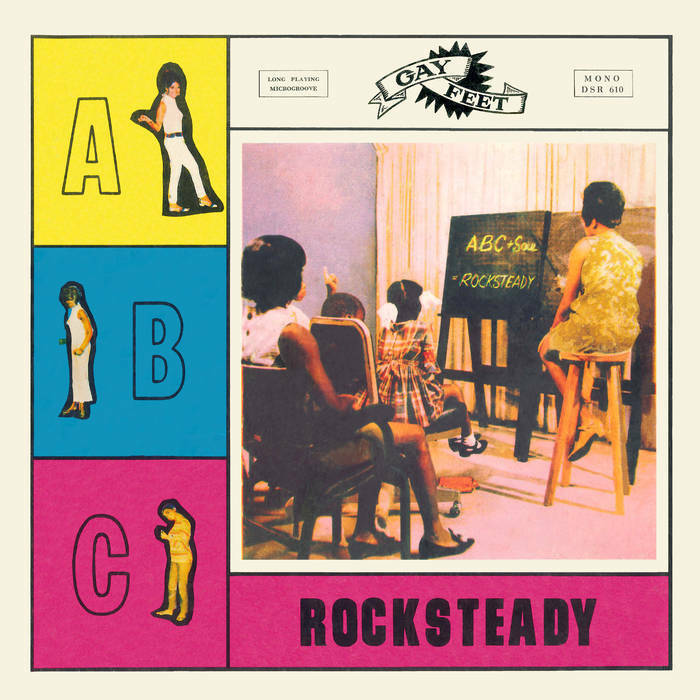 Japan's dub store reissued Roland Alphonso's 'Rocksteady ABC' album earlier this year which was produced by Sonia Pottinger but I'm not familiar with too may more titles. A quick search on ebay turns up some CD comps of High Note & Gay feet releases, but not much else. CD's funnily enough seem to be one of the main mediums for accessing some back catalogues in this area. I was looking at one last week which included 45 bonus tracks (it was a double CD) on top of the original album - thats some tempting business right there. Still I do pause a little on buying CD's unless they're dirt cheap, even though my CD player - going back to the set up theme from last week - takes three discs, and usefully shuffles from one to the next to the next as each is played out. Do you have say a top three of Pottinger productions to chase down? Oh! Thanks for the tip. Downloading that from Bandcamp as I type. Do you have say a top three of Pottinger productions to chase down? Ah, good stuff, The High Note CD is going for a cool 50 on the Ebay these days!